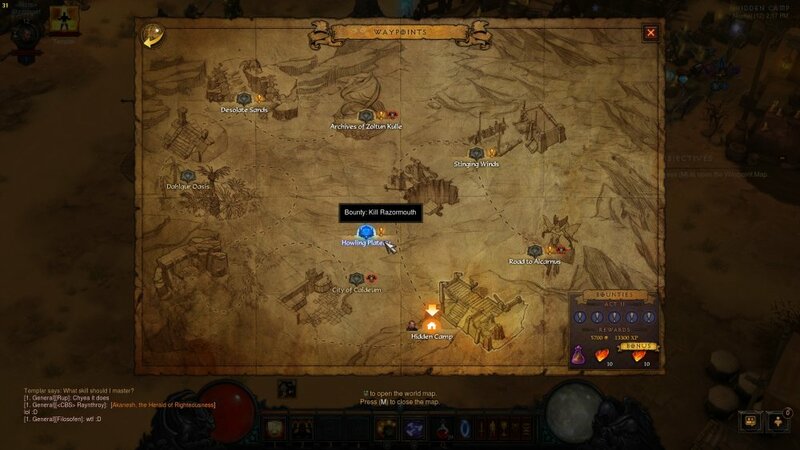 During your adventures, you'll also receive Rift Key Fragments that grant you access to Nephalem Rifts, which are challenging, randomized dungeons filled to the brim with elite monsters. Rifts can have some surprising elements, such as encountering a room filled entirely with treasure goblins, floors of the adorable monsters from Whimsyshire, or even a fabled zone populated with bovine enemies. Killing monsters in a rift begins filling up a meter on the right side of the screen, and once you fill it up, a random boss shows up. Killing the boss earns you a good deal of loot, and a pretty sizeable stack of Blood Shards. Adventure mode also allows for some more meaningful co-op than simply playing the campaign together. Players can split up to complete bounties alone, but all players in a game get credit and completion rewards, so things get done a lot faster. Since Nephalem Rifts require keys to open, it's more efficient to have as many players as possible in your game each time you open one so everyone maximizes their loot potential. Besides, with the new “bound to account” restriction, the only way other players can trade you for legendary gear is to be in the same game as you. The Paragon system has received a complete overhaul. While Paragon levels are still accumulated after you've maxed your character level, rather than simply giving small core stat upgrades and a boost to magic find, you'll now put points into a series of four skill trees to boost whatever your character might need. Want extra attack speed? Need to boost your elemental resistance? Go right ahead. You can also reset your point allocation whenever you like, in case you need a boost. The points are now account-wide, so even a level 1 character can take advantage of your bonuses if you want. Aiding in organizing co-op are new social features such as Clans and Communities. Clans are more structured, with the ability to set officers, messages of the day, and so on. Legendary loot that drops for any player in your clan is broadcast to everyone to see and salivate over. Communites are more basic, providing similar functionality for smaller groups of friends who might all be in different clans. If you play Diablo 3 but haven't pulled the trigger on Reaper of Souls yet, it bears mentioning that the most recent patch gives you all of the gameplay and balance tweaks, such as the new loot and paragon systems, as well as clan and community support. All in all, Reaper of Souls does an admirable job in fixing the many problems that Diablo 3 had with longevity. Much like Lord of Destruction before it, a Diablo expansion has redefined the core experience and erased many of the concerns that once existed. About the only feature that players are missing from the Diablo 2 days is a ladder system, and Blizzard's already announced one is coming soon. For now? I'll be Rifting with all of my friends and our new, shiny Co-Optimus clan. Come join us! 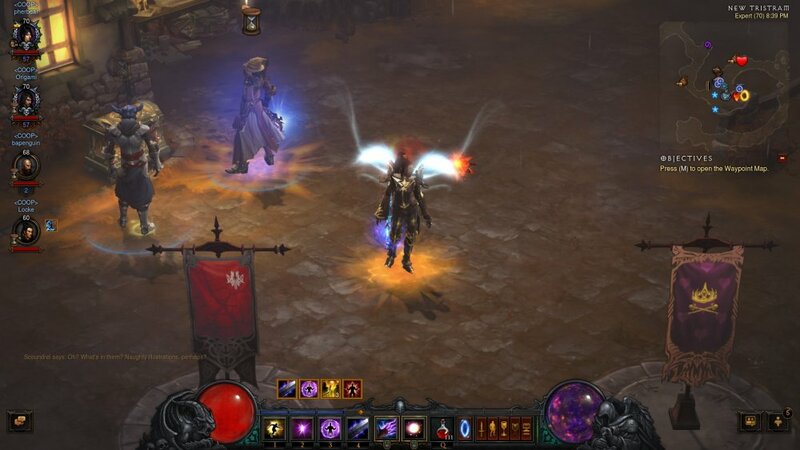 The Co-Op Experience: Team up as one of six different classes and take on Act V of the Diablo 3 story. Playing co-op earns bonus loot, bonus XP, and scales the difficulty based on the number of players. Players can also take on adventure mode and earn bonus loot. Page created in 0.3580 seconds.